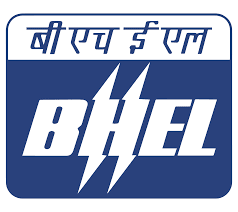 BHEL Engineering Trainee Old Question Papers Download, BHEL Executive Trainee Solved Question Paper, BHEL ET Last 5 years question Papers download – Bharat Heavy Electricals Limited (BHEL) has published a new recruitment notification to fillup Engineering Trainee and Executive Trainee posts. The selection method of these posts based on scoring high marks in the written exam and interview. That’s way here I am sharing BHEL ET Previous Year Question Papers for your preparation. By reading old question papers of BHEL Engineering Trainee and Executive Trainee you know about question paper pattern 2019 and which topic is important in BHEL ET syllabus 2019. BHEL is releasing recruitment notifications of Engineering Trainee every year. Candidates who have aimed to get a job in BHEL, this is the right time to apply. The competition is very high, so the candidate have to start exam preparation right now.